These LED Linkable Under Cabinet Striplights are an ideal solution for under cabinet lighting in any kitchen or workplace. They are a perfection solution when replacing fluorescent T5 lights. 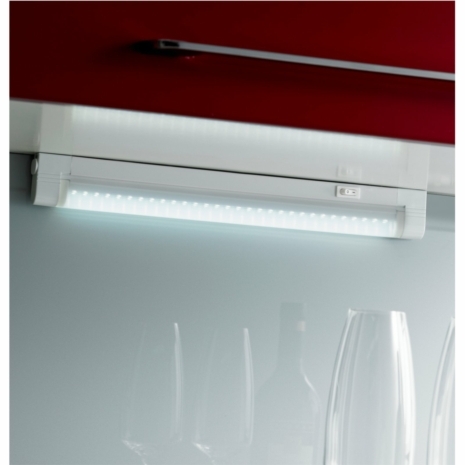 With its low energy power consumption and ultra bright LED's it is a perfect LED light fitting. Do these have a built-in driver so that they can be directly connected to 240v AC. What are the dimensions of these lights. Will they be hidden behind at lighting pelmet ? 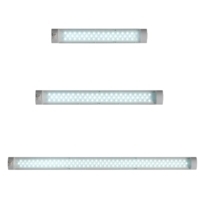 Thank you for you enquiry, the dimensions of these lights are 37mm x 23mm, the lights will hide behind a pelmet, if you require any further information please do not hesitate to contact me.